Florida remains by far the most dangerous state in the nation for pedestrians, according to the results of an updated report that primarily blames the risks on a lack of infrastructure and poor urban planning. So far 2019 has gotten off to a deadly start with two pedestrians killed in back-to-back North Fort Myers pedestrian accidents. The Fort Myers News-Press reports 10 people were killed on Lee County roads in January, compared to a total of 84 traffic deaths reported for all of last year. In addition to increasing risks for these vulnerable population groups, our pedestrian injury lawyers in Cape Coral and Fort Myers continue to see these cases result in serious or fatal injury. 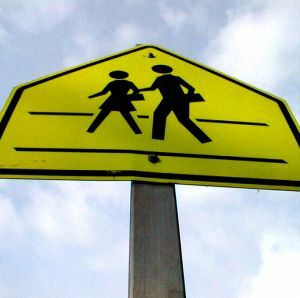 A young girl was walking near a bus stop at about 7 a.m. when she was struck by a 62-year-old woman driving a Toyota. The North Fort Myers road has no sidewalks where the young girl was walking. The woman reportedly left the scene but later returned. The crash remains under investigation. In the second incident, a 70-year-old Canadian woman was crossing U.S. 41 in North Fort Myers when she was struck by a motorcyclist. Both the woman and the motorcyclist died at the scene. Smart Growth America’s original report, Dangerous by Design, was released in 2016 and identified the Fort Myers-Cape Coral area as the nation’s deadliest metro area for walkers. The just released 2019 update ranks Fort Myers-Cape Coral 8th deadliest. However, safety advocates don’t believe Southwest Florida any roads are safe for walkers. It’s just that other areas of the Sunshine State have grown even more dangerous. Eight of the nation’s 10 deadliest cities are located in Florida. Orlando-Kissimmee-Sanford now claims the top spot. North Port-Sarasota-Bradenton ranks 4th deadliest. There, the Herald Tribune noted the Sarasota-Manatee region grew deadlier, rising from the 10th spot two years ago to the fourth deadliest for walkers among the nation’s 100 largest metropolitan statistical areas. Vulnerable road users (including motorcyclists) often assume proving negligence will be a low barrier to justice in these cases, as blame is often a straight-forward matter. However, collecting adequate damages is often the highest hurdle. Florida’s minimum auto insurance law requires the lowest insurance limits in the nation (just $10,000 property damage and $10,000 Personal Injury Protection). Motorists who strike bicyclists or pedestrians may have insurance coverage that is completely inadequate. Unfortunately, Florida also leads the nation in percentage of drivers without insurance (about 1 in 4), and for the number of hit-and-run collisions involving bicyclists or pedestrians. For these and other reasons, our veteran injury lawyers in Cape Coral and Fort Myers urge all motorists to purchase (also not required under Florida law) optional uninsured motorist (UM)/underinsured motorist (UIM) coverage, which can protect you as a cyclist or pedestrian. In cases where inadequate infrastructure (including dangerous bus stops and missing or inoperative traffic control devices) cause or contribute to injury, an experienced law firm may also be able to pursue damages against other responsible parties.